Give your wrist a rest. This push button Electro-Magnetic Cruise Assist is just the ticket. Just push a button to set... push the button again, touch the brakes, or pull in the clutch (on '07-'08 Models) to cancel. 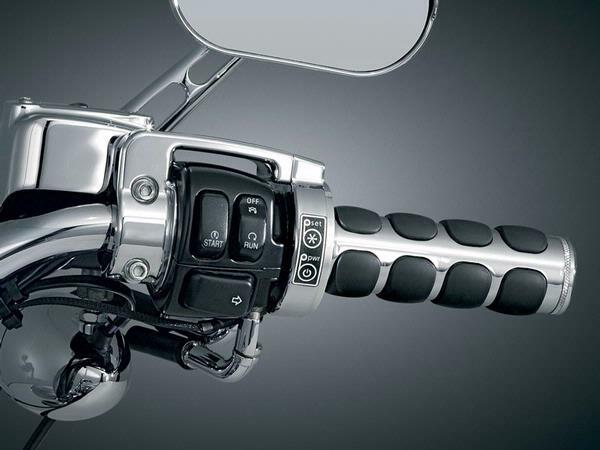 Magnetic force holds throttle position steady, but is still easy to over-ride as necessary.